Writing a Japanese resume/CV called rirekisho (履歴書) is a challenge for most applicants, but eventually everyone who is hoping to find work in Japan has to write one. 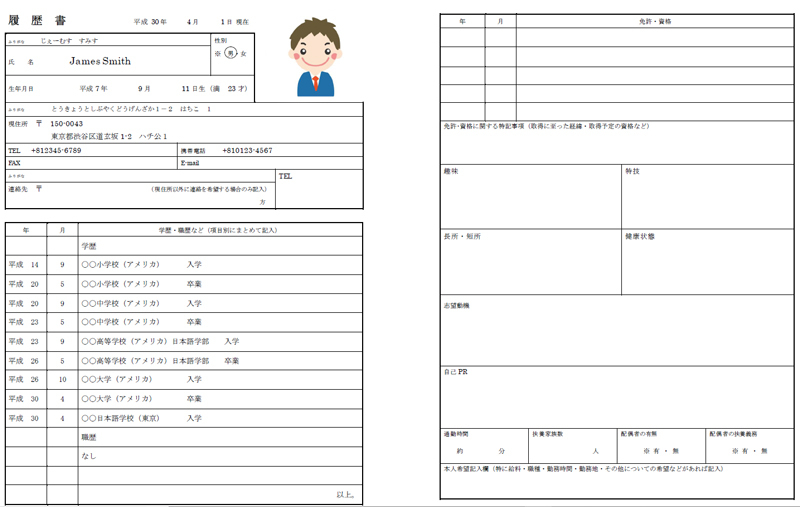 Resumes in Japan follow their own logic, and kanji and keigo can complicate the situation, but luckily, they are incredibly uniform. There is no need to design your own resume, you can use a template to simply fill in. All Japanese resumes are structured into three main parts: basic information, education and skills, motivation and personality. The resume template below shows what needs to be filled in where. You might be using the standard resume, which you can buy at the convenience store, or a company-specific version. In either case, both structure and contents are largely identical. After you filled in one, the next one will take only a fraction of the time. If furigana is written with hiragana as ふりがな in the rirekisho form, then use hiragana, if it is written as フリガナ use katakana. Always adjust to the format. It is standard to write dates according to the Japanese calendar as 平成3年5月29日. Use the same date format throughout the resume. Some companies require handwritten rirekisho. If that happens to you, make sure you write without mistakes and with an even, clean handwriting (uneven handwriting is seen as lacking attention which can lead to failing the selection). Japanese resumes are typically written in chronological order, starting from days past and ending with your most recent activity. Japanese resumes are generally written in keigo. So definitely use the ます-form at the end of every sentence. Use advanced keigo when possible, but rather than making a mistake, stick to more simple polite Japanese expressions. Fill in the day of submission or the day before. Always write the same day as the interview, if you submit in person. You can write your name in the order you are used to, you don’t have to adjust to the Japanese system. (They will call you by the name you write first). Leave some space between first and last name. When using your 印鑑いんかん take care to stamp neatly within the box, facing in upright. Double check that the stamp is visible completely. If you do not have a name stamp, leave this field blank. Japanese rirekisho still ask for gender across the board. If this does not agree with you, leave it blank. Write your birthday according to the Japanese calendar. In the brackets write your age on the day of submission that you wrote under #1. Not a thing anymore in many countries, but still standard in Japan: the picture. More precisely, imagine your passport picture and add a suit. You can take this one yourself in a photo booth, but remember to check your clothes, makeup and facial expression. If you want to invest for a better picture, you can book special resume photo shoots in Japan, which even come with optional hair and makeup. Add your picture to the CV after you filled everything without spelling mistakes. To avoid any chance of confusion, write your name on the back of the picture. When adding your current address, write the postal code in the first line. Go from big to small, starting with the prefecture, district and working your way down to the room number. After the address remember to put your apartment complex’s name and room number. Remember to fill in the furigana. In you live overseas, fill it in in romaji and write it once more in Japanese script in the furigana section. If you have a landline go ahead and fill this out, otherwise leave it blank. Enter your current phone number. If you don’t have a phone, consider getting one. It is likely, that HR wants to call you directly to make appointments. Use an email address you check frequently and can access from any PC. Use an official email address, not the one of your cosplay persona or your lost childhood. Here you can put an alternative address, in case you are moving, currently still living abroad or are out of town for an extended period of time. Just make sure the company knows where to reach you, and that you can receive any documents they may send. Do not abbreviate anything. Even though normally Japanese people say 高校こうこう when referring to high schools, the proper name is 高等学校こうとうがっこう so write that! Further Secondary and Tertiary education should be written in chronological order. Don’t forget to include each twice. One line for the date you entered, and one for your graduation. If you got multiple degrees or moved schools as a kid, you might run out of space here. In that case skip your Primary Education, for the sake of your more recent education. University name, (country if it’s abroad), faculty, department, subject. You can add your research topic or graduation thesis title if you want. Language school or studied abroad stays do not need to be written here. 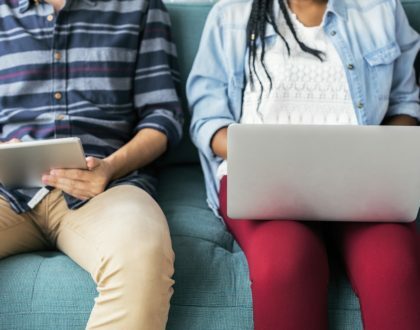 You can add them when these studies lasted for more than 6 months and helped you acquire a skill that is relevant to the position you are applying to. Everything else will be considered a vacation. 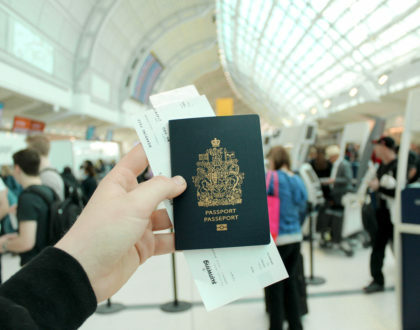 Also indicate it if you are enrolled in a language school or study abroad program at the time of application. When changing jobs, it is enough to start the school history from your high school graduation. Otherwise follow the advice above. Same as for your schools, you write everything chronological and enter both, the date you entered and the date you left the company. Write the official company name without abbreviations and 入社にゅうしゃ next to the date on which you entered the company. Make sure you got the company name right. Check if 株式会社かぶしきがいしゃ　comes before or after the name. If your previous company merged or otherwise changed their names write both the original name and the new one (現〇〇株式会社). In the second line, indicate the type of company and the number of employees. Use a third line for your tasks there. If something in your work history is directly related to the hiring requirements, you can use a 4th line to emphasize those. If you changed department within a company, add that with a date in an extra line. Next to the date you left your previous company, write the reason why in the same line. 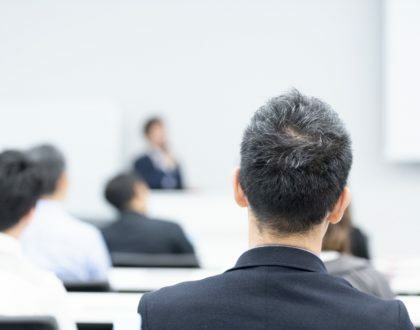 You can use the standard phrase 一身上いっしんじょうの都合つごうにより退社たいしゃ, meaning you left due to personal reasons. If you are still working there, write 現在げんざいに至るいたる. When you are done, leave some space and write 以上 right corner of a line. If you find yourself running out of space put 職務経歴書記入しょくむけいれきしょ toward the bottom of the area, to say that you will attach the missing information. When you are done check again: are all your dates in Japanese calendar and correct? Write from the specific to the less specific: start with your licenses or permits, then onto qualifications. Start with your driver’s license (not very common in Tokyo) if you have one. Be sure to write all your qualifications with their official names. For example, if you mention your Japanese skills, write 日本語能力試験 and not JLPT. If you are currently studying towards a certain certificate you can also mention it here. Make sure that everything you write in here is relevant to your job. If you know Latin, for example, that’s great, just don’t write down things you have no opportunity to utilize at work. Maybe you know how to drive a car but didn’t get your Japanese license yet. Or you are studying toward the JLPT and are positive that you can pass. Here is the space to mention those skills you cannot provide any valid certificate for at the moment. The below points may not all be in your specific format, but since some of them definitely show up, I will briefly cover them here. A short list of your hobbies without explanations is enough, whatever you do, do not leave this one blank for the sake of bringing conversation starters. Don’t write too many things so it doesn’t seem like these hobbies are your priority. If you have hobbies that leave a good impression, even better. You run your own blog? You know Ikebana? You like soccer (maybe it taught you teamplay or leadership skills)? Write it down. If you like bungee-jumping or gambling, that might be something to skip, as it may not reflect well on your character. Here you can show what you’re good at and bring in things you couldn’t mention in the certificates section. So you can put your Japanese or IT skills, for which you don’t have any license. Or maybe you learned something relevant to your job during your part-time work or internship. Another popular question is for your strength and weakness. If asked for both, mention one of each. Pick a strength that is relevant to the company and position you are applying to. For your weakness, write down something that doesn’t affect your work (if you are applying as an accountant, not being the most creative person on the planet will hardly be an issue). Another odd, Japanese question. If you are healthy and don’t have any diseases write 良好りょうこう (they are not asking for your cold). If you are really going for the robust and healthy appeal, you can also add for how long you haven’t been sick. What you have to write down are health issues that require you to see a doctor during work hours or limit what you can do at work (your rehabilitation after some broken bones does fit in here, as does having a problem lifting heavy things.) In this case, write a short explanation sentence. Why do you want to get this job and work for that very company? Here is your chance to describe what makes you the right candidate and appeal to the company. So, talk about your strengths or intention. Make sure to give a concrete example to make the reader really understand your strong point. Last but not least, describe how you want to use your abilities in and for the company. How long does it take from your house to the company? Leave this one blank if you don’t live in Japan. 90min one way is considered within the normal range for commuting time. If you live more than 90min away from the company and are willing to move for the job, write 内定後速ないていごすみやかに転居可能てんきょかのう. If you do not have children or other dependents, write 0. Circle 有あり (yes) if you are married, otherwise choose 無ない(no). Are you paying for the living expenses of your spouse? If you don’t have housewife or stay-at-home husband, probably you can choose 無ない (no). Here is the place where you can put your expectations or wishes regarding your salary, position, work hours and location. Things you could write here are for instance the department you want to work at (勤務部署きんむぶしょ) or the city you want to work in (勤務地きんむち). Congratulations on your completed rirekisho! Before you hand your resume in, double check for any mistakes. Entry Sheet – everything you need to know!